Though many gamers seek to complete quests without any assistance, everyone has to lean on a strategy guide now and then. 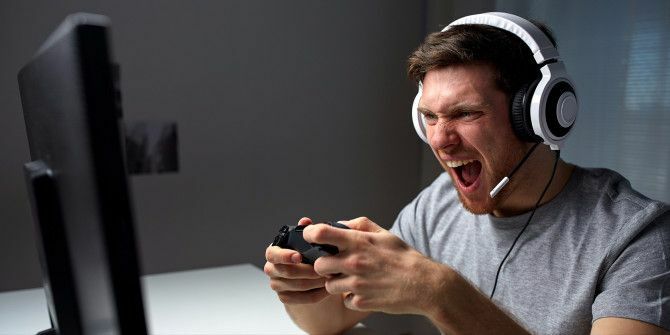 There are plenty of places to find game walkthroughs online Where to Find the Best Game Walkthroughs Where to Find the Best Game Walkthroughs The following sites have reliable information that's organized well, so you can get past whatever's got you frustrated and get back to enjoying your game. Read More , but what if you don’t have an internet connection or the guides aren’t formatted for mobile viewing? Gamefaqs are my favorite game forums because they participate in discovering all the facets of the game. If you’ve got an Android, the app you need to download is FAQr. This reader for GameFAQs, the best gaming resource on the web GameFAQs Is Still Around & Still The Best Site For Gaming Information GameFAQs Is Still Around & Still The Best Site For Gaming Information There are certain niche websites that resonate with an audience to an extent that competitors and alternatives aren't even a concern. When you're on the web and you're looking to browse videos, you go to... Read More , lets you browse walkthroughs for any game and download them to your device for offline reading. In addition, you can download any maps or charts available on the site so you can have them handy during your adventures. The app lets you customize the theme, including a dark theme that’s easier on your eyes during those late night gaming sessions. It’s really the best way to get gaming help on the go, as it ensures you can always get help in a few seconds (including on-page search) and is lightweight so you just get the guides. It also opens your last-viewed FAQ on startup, so you don’t even have to fumble through a menu! I mostly want an Android tablet so I can use FAQr without having to switch between full-screen and a walkthrough when I need help. FAQr unfortunately isn’t available on iOS, but the closest substitute is using the Reading List to save pages offline for later. Tap the Share button at the bottom of the browser, then choose Add to Reading List. To pull this list up, click the Bookmarks icon right next to the Share icon and switch the menu to the reading list. These will also be saved offline, meaning you can conserve data Saving Mobile Data: 5 Clever Ways To Reduce Data Usage Saving Mobile Data: 5 Clever Ways To Reduce Data Usage If you’re on a limited mobile data plan, you may find opening your bill to be harrowing experience. Is there an overage charge? How much? And why was there so much data used? While the... Read More and quickly access games you’re playing at any time. Know of a better app for browsing GameFAQs? Let us know if you’ve used their guides on the go!